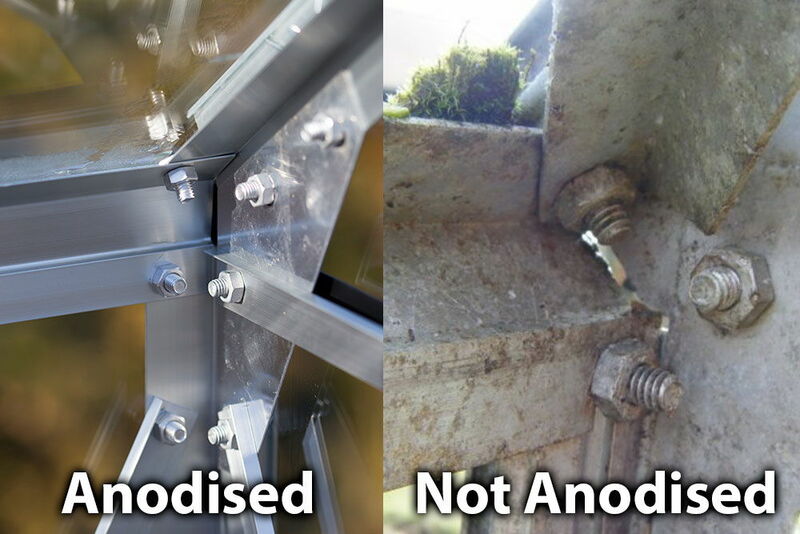 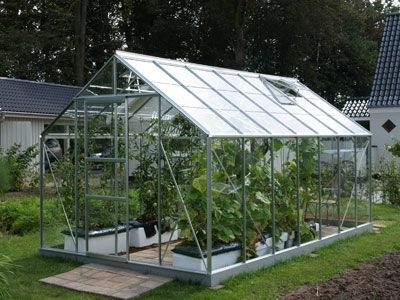 Full Length 3mm Toughened Glazing - Great Safety and Wind Resistance. 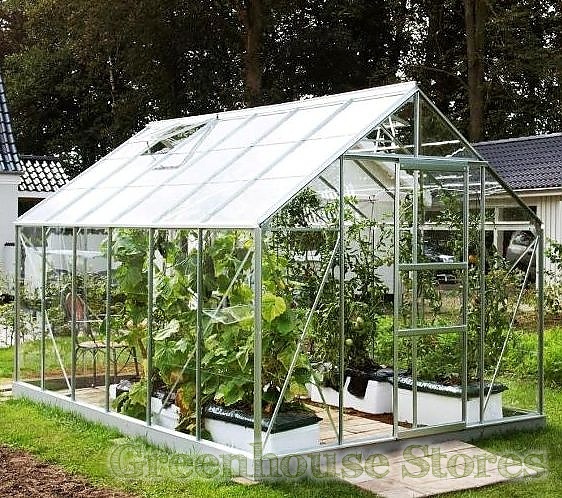 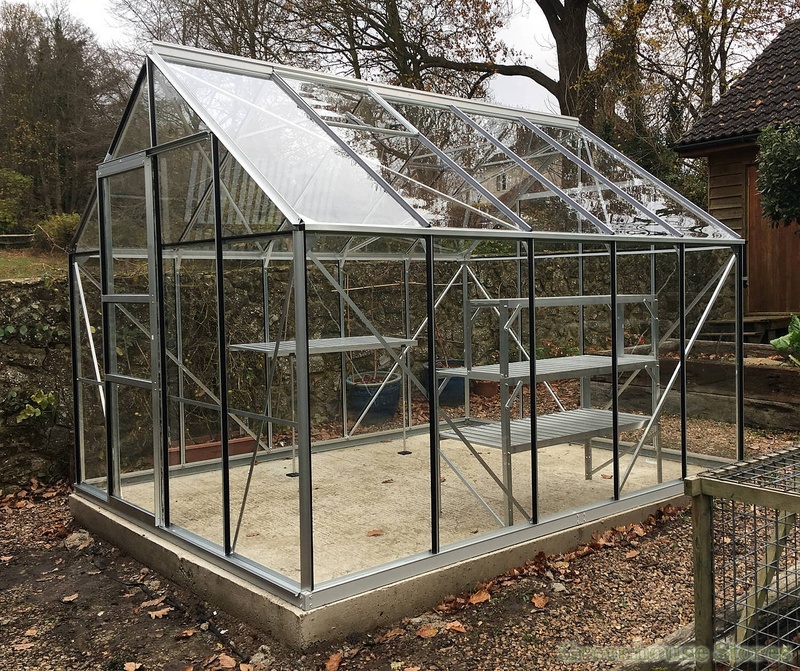 The 8x14 Silver Vitavia Neptune 11500 Greenhouse with Toughened Glass is a superb 8ft wide large greenhouse at a great price ! 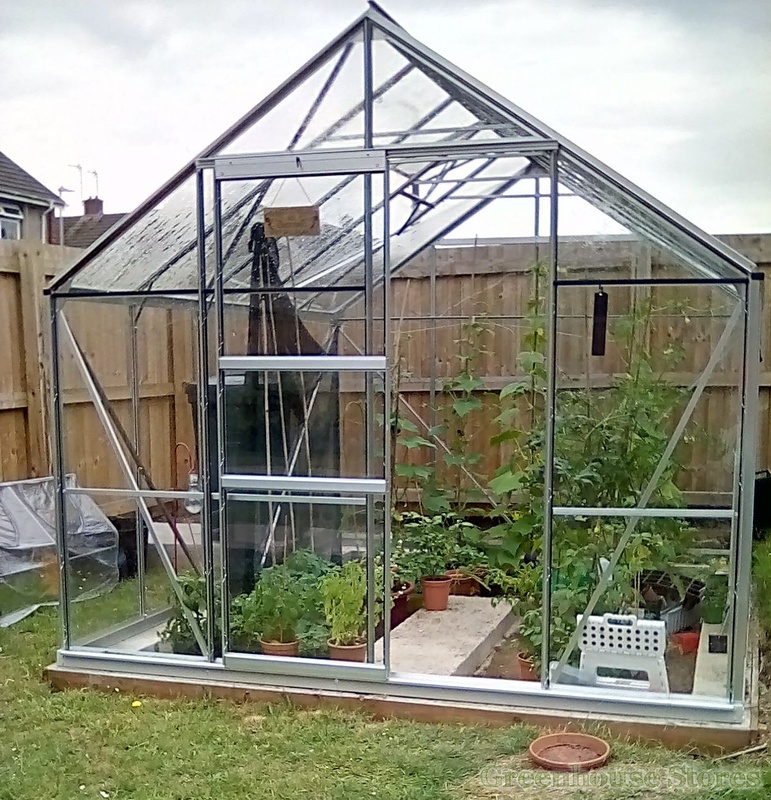 This Vitavia Neptune 8x14 has 2 opening roof vents for ventilation, a smooth sliding single door and integral gutters.